Melting polar ice wakes dormant spores that had been locked away for eons beneath the frozen tundra. The pandemic grows with unprecedented tenacity. Asia is polluted first by the tempest. It then spreads from the epicenter, through Europe and the Americas simultaneously, before invading the United States. The epidemic expands into the heartlands, racing eastward like a malignant blizzard, corrupting everyone it touches with vial symptoms. A young business man working in Manhattan claws his way out of the city in search of his family. Obstacles impede his advance, from environmental calamites to hostel human flotsam, all conspiring to siphon hope from his fragile spirit. This steadfast determination embodies the human spirit. As one reaches out for a sliver of hope, the possibility of losing what has already been obtained is at risk. Is hope worth the sacrifice? A nicely written story centered on two unlikely main characters. 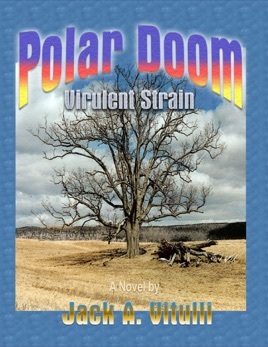 This is more of an adventure story than a sci-fi or climate change book. It was a compelling read with vivid imagery.